We are excited to announce that As Mom Sees It, along with an amazing group of bloggers including FIELD TRIP, is giving away a gorgeous genuine Coach tote purse, worth $250! This is an awesome give away as this Coach tote purse is one the finest from the Coach purse collection. 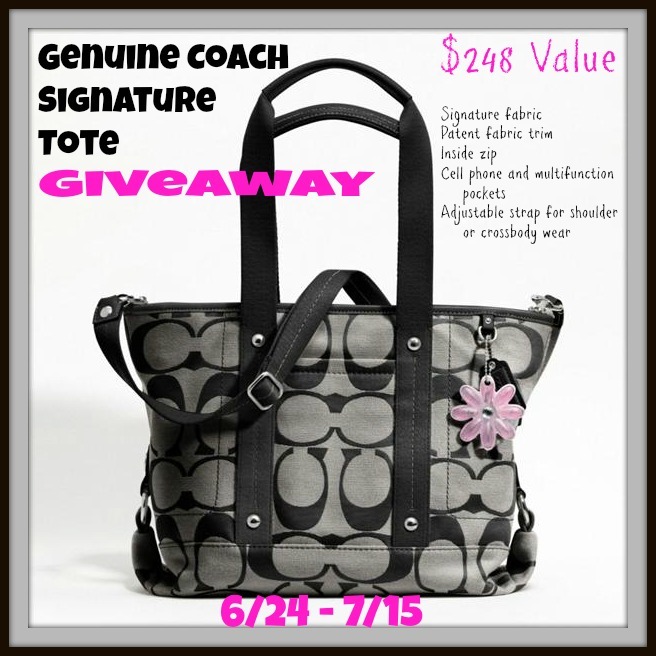 By joining this give away, you can have the chance to bring home this Coach tote purse for free! Wow, I'd like to win that. I hope this is open worldwide. For I will love to win that bag. This is quite a pricey bag and a classic one. Ang ganda. Good luck to the lucky winner! Wow! Nice prize for this giveaway. I wonder who's the lucky one? Wow! I'd love to have that. Good luck to all participants. Aaaw, a designer bag! I envy women who have a collection of these kinds of bag. wow! the winner would be very lucky! XD best of luck to all! nice bag! this is nice for mommy. I'll try to go back and join this giveaway.